Plasma cutters make short work of cutting through metal. (If only they could cut through red tape as well.) They offer a workable solution for anyone who would like to get serious about metalworking. But choosing the best cheap plasma cutter can be just as frustrating as wading through red tape. That’s why we took this project on. 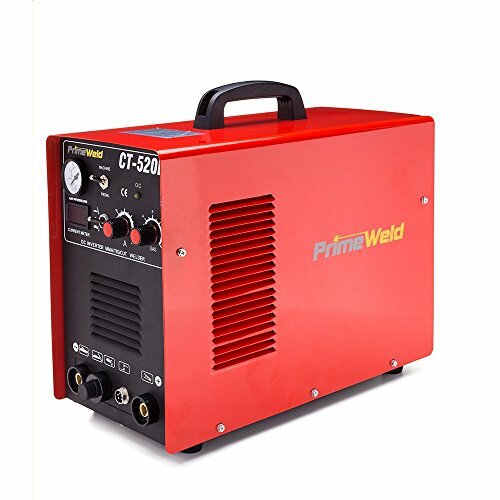 We have done extensive research to bring you the top five plasma cutters on the market. 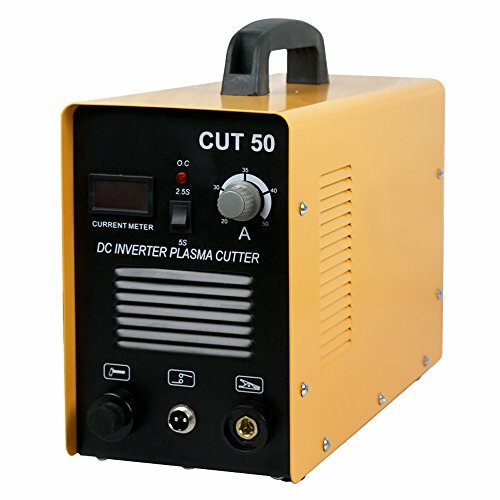 If you are looking for comprehensive cheap plasma cutter reviews, you have come to the right place. The Lotus plasma cutter takes the top honors. It is easy to transport and offers a high-quality, affordable solution for cutting through steels of various types, aluminum, and copper. Why this gets top marks is because the system works on compressed air. Also, the cooling system on the unit is German engineered and top quality. The system makes use of pilot arc tech, meaning that the tip does not have to touch the metal. This improves the lifespan of the machine and also improves the quality of the cuts. The MOSFET transistor ensures that the output is uniform and that the system is as adept at cutting thin metal as it is at cutting thicker pieces. Will cut cleanly up to 1/2 an inch but can cut up to ¾ of an inch. The price is really great for the model. And, considering that it includes a welder as well, it is a really excellent deal. Why didn’t come out on top then? Whenever you have a machine that is multi-function like this, you have to sacrifice some features. It simply does not have the same range of features that our top two models had. True, having the welder included is a nice space-saving feature, but, if you have been metalworking for a while, you probably have one already. It offers stable performance and PRO tech. The company has taken time to ensure that it is more energy efficient by improving the duty cycle. It can cut a range of metals up to ½-inch. The gauges are easy to read, the main display for output is digital so you can be exact and it delivers high-quality cuts. It features protection against over-heating and over-voltage. This is another 3 in 1 option. It came in fourth on the list simply because it doesn’t quite measure up to the others in terms of features. The machine offers 85% power efficiency and so is also not quite as energy efficient as the others. You are able to cut and/ or weld a range of different metals. The unit has a higher duty cycle – 60% when being used at max and so that is extremely good. Switching between functions is simple. You can cut up to ½-inch sheets, so this is better suited to the beginner. It would be okay for occasional commercial use. The warranty is a good one – 3 years on labor and parts. The customer service center is based in the United States and is open every day. This makes it easy to get answers to questions. If repairs are needed, they source the parts in the United States. According to the manufacturer’s blurb, it will cut through various types of steel, including carbon steel, aluminum, copper, etc. With all the features, it looked great, and we were excited about this model, especially considering the price. How well did it cut? We would not be able to tell you – it would not even switch on. We checked it out, and everything looked great. It is a very good-looking machine, but if the manufacturer’s thought it could pass on looks alone, they thought wrong. We also did not like the lack of a clear warranty policy on this product. We did a bit of research and found that we might need to change the plug to get it to work. We were concerned that doing so might affect the warranty but had nowhere to check this out. Overall, steer clear of this – it is a piece of junk and really not worth the money you are paying for it. What should you be looking for when considering your plasma cutter purchase? Let us go through some general questions to ask yourself. What type of projects will you be doing? Are these home projects on the odd occasion, commercial projects, etc. The more you intend to use the cutter, the more important it becomes to consider spending more to get a great model that will last. How thick will the metal be? Most plasma cutters will cut through just about any kind of metal. How cleanly and how well they cut depends on the metal. The thicker the metal, the more power you need. Is portability important? If so, choose something that is not going to break your back every time you pick it up. Do realize, though, that you are going to have to sacrifice some power in order to have the portability. Can your power outlets cope? You will need to see the specifications for the power outlets and may have to adapt them for the cutter. Are you going to use a generator with the cutter? If so, will it provide the voltage needed? Will it provide too much voltage? Is the cutter going to be able to handle the way the current fluctuates with a generator? Do you want a 3 in 1 unit? Maybe you only need the cutter for one or two projects a year. Maybe you are just starting out and not willing to spend a lot of money on something that you are not sure you will use. A 3 in 1 is not the best option if you want to get the best possible performance, but it can be a useful tool for the hobbyist. You can get your feet wet without having to spend a fortune on each machine. How fast will it cut? If you see IPM, know that this stands for Inches Per Minute. This is an especially important reading because it determines how quickly you can work. Two cutters side by side could, for example, cut through a piece of metal ½-inch thick. However, they are not likely to do so at the same speed. And, while you might not worry about speed to start off with, as you become more experienced with the cutter, it will become a lot more important. The duty cycle is also extremely important because it tells you how long you can use the machine for before it needs to be allowed to cool down. If you are making short, shallow cuts, you don’t need a longer duty cycle. If you are making longer cuts or deeper cuts, you do. That brings our reviews of Cheap Plasma Cutters to a close. We hope that you have a clearer idea of what you need now. 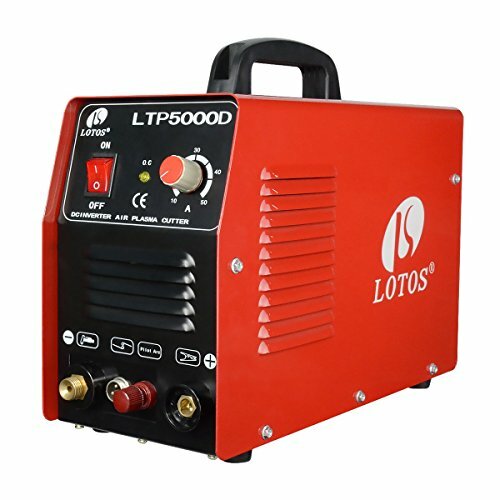 If we were forced to narrow it down to the absolute best model, the Lotos LTP5000D Cutter wins by a mile. It features quality German engineering, functions extremely well and has a great warranty. 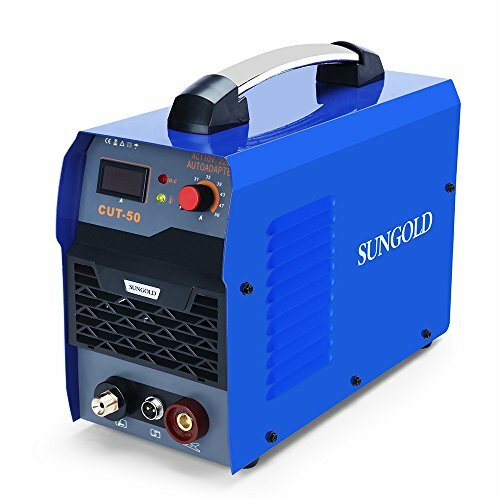 If you are just starting out at metalworking and getting yourself set up, we recommend the Super Deal DC Inverter Plasma Cutter Machine. It is an excellent price – you are paying for both machines what you would normally pay for one, so it is a great place to start, especially if you are not sure yet. Remember, that it’s always important to wear the right equipment. Therefore we’ve written this guide on welding helmets. It’s a quick read!